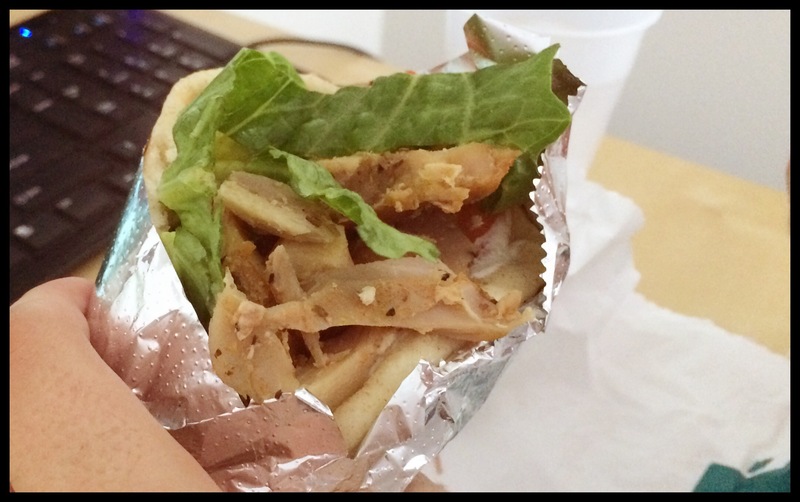 Snapshot: delivery from Mezes Greek Grill | Clover Eats! We’ve been busy with packing lately, and it’s getting harder and harder to eat at home because we keep packing our kitchen things. 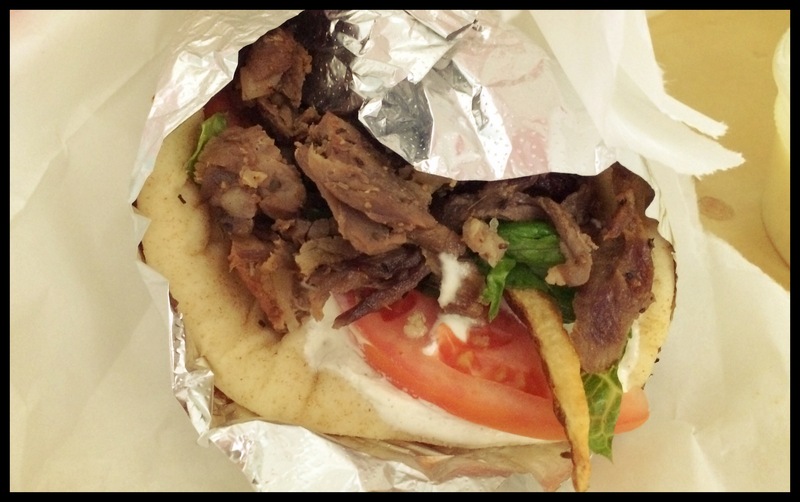 We found Mezes Greek Grill on Grubhub, where it got rave reviews, and decided to try it out. Delivery came much faster than the originally estimated one hour, it took only about 30 minutes, which was great for hungry movers such as ourselves. Fred got a chicken gyro with mustard aioli sauce, which was tasty but not as good as the lamb and beef gyro that I got, which was fantastic! The meat was moist and flavorful, and complemented by the yogurt, which despite its name was not spicy and quite delicious. 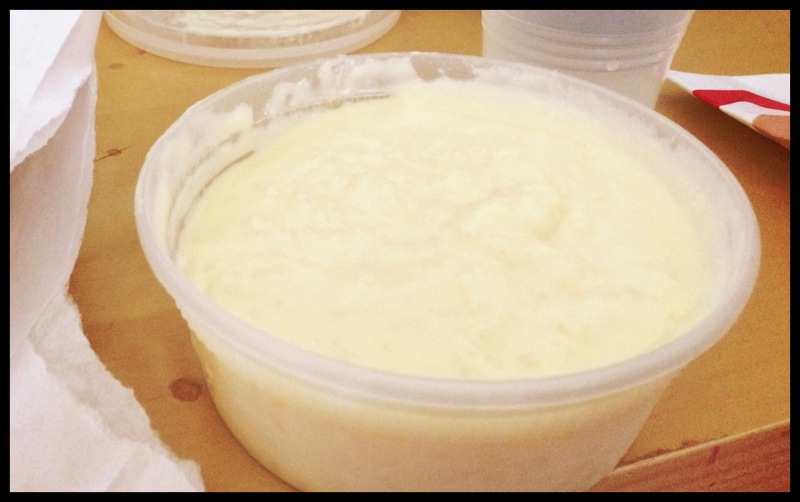 In order to reach the minimum $15 required for delivery, we added the Dessert of the Day to our order and were surprised with a fantastically thick rice pudding. It was a little more vanilla-y than other rice puddings I’ve had, with fewer rice pieces and more cream. Tasty!